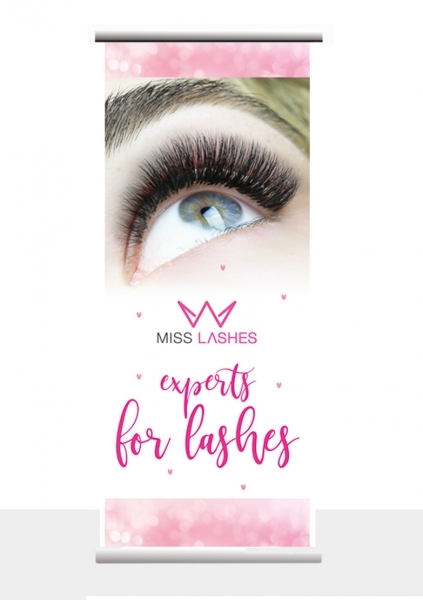 Make a statement with the Miss Lashes "Experts for lashes" rollup banner. The banner is 85cm wide and 200cm high. A matching black bag is included.